This rule holds true always. If you indulge in wrong behavior or negative tendencies, the results will continue to be of a pathological and depraving kind. Evil etches a groove for itself in our memory. A complete change occurs in our personality. The pure spectrum of our consciousness enters into denser areas. The poor quality of our awareness and understanding manifests variously including in diseases – physical and psychological. Here are stories in circulation in ancient asramas – the final resort for the sick and the suffering ones. First thoughts, their impressions and their behavior, seems to be the sequence in all our behavior in life. The desire to steal leads to such a behavior also. The philanthropist thinks in a charitable way and acts so. The sick continues to remain sick just as a greedy individual remains greedy all his life. In fact when indulging thus in a certain way as a result of old tendencies, one comes to like that kind of behavior. As Emerson has said: “It is easy for a strong person to be strong and for a weak one to be weak’. In fact the man with positive feelings is so imbued with this spirit that he maintains such an outlook all his life. It was a winter day, cold had just set in. People felt the severity of winter as much as birds and animals. A sadhu arrived in a village, lighted afire, sat and got lost in his devotion. The severity of winter did not affect him. Nearby stood a merchant who was pious at heart and gave away in charity whatever he could to saintly individuals. He had purchased recently a beautiful kashmiri shawl for the winter. On seeing the sadhu seated without protective clothes on him, the merchant ran down to his house and brought the shawl. He went up to the sadhu, quietly covered him with the shawl and stood respectfully at a distance after that. The sadhu recognized the sincere devotee in the merchant and while blessing him said; “Child, you continue to act thus always.” The merchant was very pleased and went his way. 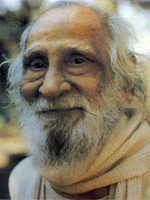 A thief was standing at a distance from the sadhu. No sooner the merchant departed he moved towards the holy man. “The shawl is indeed very expensive and can provide me for the winter. What will this poor sadhu do with such expensive piece? In fact this piece is not his earning and moreover what has a sadhu to do with a shawl? The thief was just voicing a popular feeling that a holy man need no comforts or even necessities.